Delhi High Court Today adjourned the hearing of bail application filed by JNU Students Union leader Kanhaiya Kumar to 29th of this month. The decision came after Delhi Police has informed the Court that they will file fresh remand application since two more Accused in the Case have been arrested. 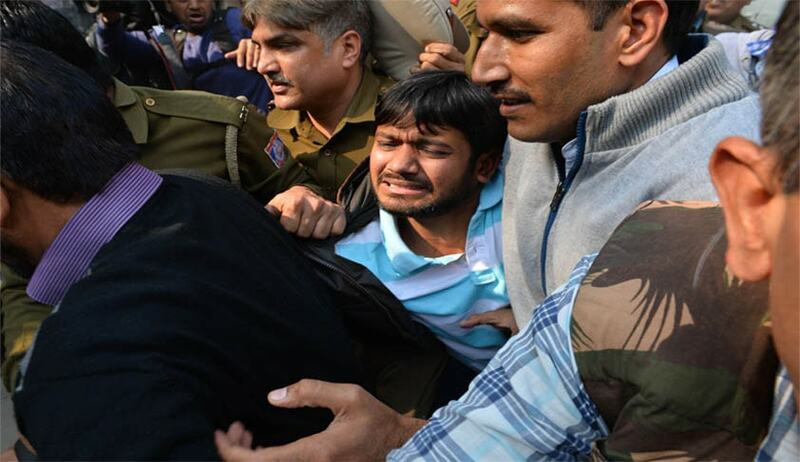 Police submitted that Kanhaiya Kumar's remand is required to confront him with other accused in the Case. The Court expressed concern over the safety of Kanhaiya Kumar, "we have to ensure that they do not even suffer a scratch", said the Court. The Court also directed the police to ensure security of other two accused in the Case Umar Khalid and Anirban Bhattacharya who have surrendered yesterday. ANI reported that High Court will pass directions with regard to place where Umar Khaled and Anirban Bhattacharya will be produced after consultation with authorities. 9. Kanhaiya Kumar himself does not deny presence at the spot where anti-India Slogans were raised in front of Metropolitan Magistrate Lovleen at Patiala House Court.